It's been a little over four months since I packed up my belongings and my dog and drove west to California. After finishing graduate school in Chicago and applying for jobs there and all over the East Coast, I got frustrated with the rejections and decided to start applying to random places out west. I ended up landing a gig in a little surfing city that's perhaps best known for being the fictional Santa Carla in that 80s classic The Lost Boys. These days I spend my time marveling over the myriad species of succulents and palm trees that grow around me, listening to the siren song of the sea lions, and chastising myself when 45 degrees in January seems cold to me. Santa Cruz is a small city, smaller than Albany, about an hour and a half south of San Francisco and at the tail end of the Silicon Valley. I live two blocks from the ocean and there are awesome taquerias a-plenty. Still, lately I've been feeling a little homesick. Sure, that's largely due to missing friends, family and AOA, but there's a lot I miss about living in the Capital Region. 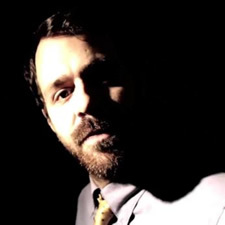 Traveling film fest impresario, musician and Troy native Eric Ayotte will be back in town this week, performing and showing films at Tuesday at the Albany Social Justice Center. While living in the New Paltz area, Ayotte had the idea for a traveling film festival that could help foster a stronger community for DIY filmmakers like himself. 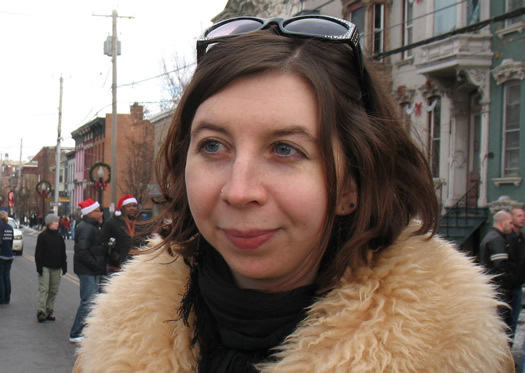 That led to the creation of the Gadabout Film Festival almost a decade ago, a collection of short films that Ayotte and others brought from town to town in a bio-diesel powered van. Since then, the festival has completed several national tours and screened the works of filmmakers from all over the country and the world. It's a festival that's not competitive and is aimed more at creating connections and building communities among those producing truly independent film. Ayotte's also a musician and he'll be showing off both talents at Tuesday's show. The AOA elves are back to help you with your holiday shopping. We'll be bringing you fun, interesting, local gift ideas for the holiday season. On this final day of gift ideas, I bring you the stocking stuffers. 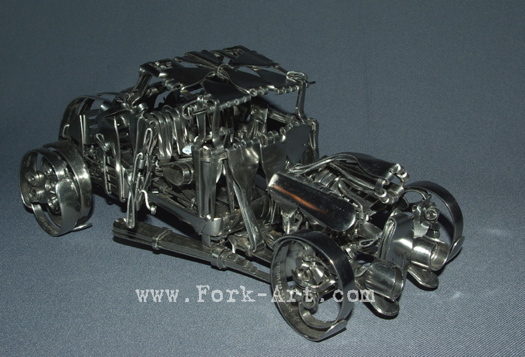 Most of these would also make great gifts for those people for whom you need just a little something. 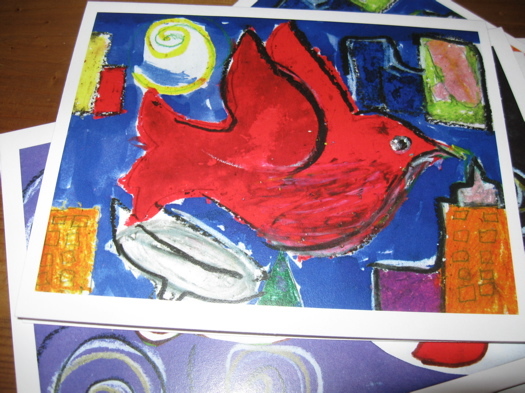 Today on the AOA gift list -- Reindeer over Albany, birds of peace and happy polar bears, straight from the imaginations of local kids at the Delaware Community School. 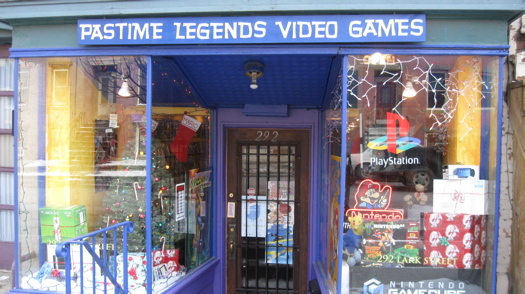 You can't go home again -- but you can play your old games. 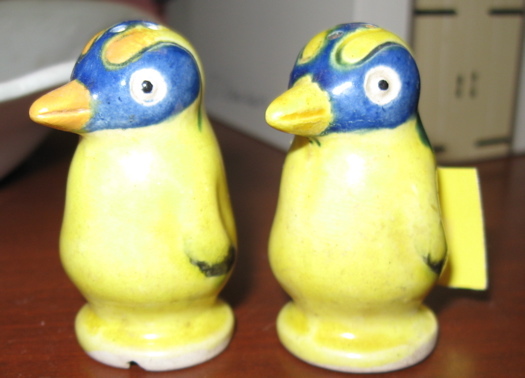 On this ninth day of the gift guide, AOA brings to you: retro video games and a partridge in a pear tree. OK, no partridge. And no tree. But the rest, yes. Absolutely. 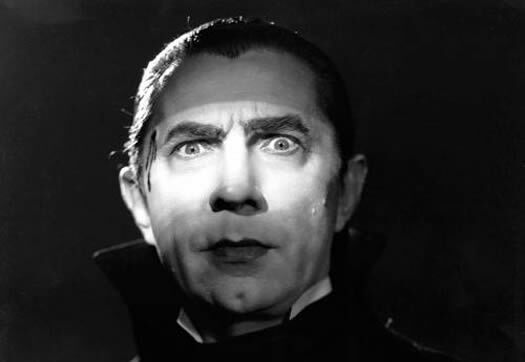 I'm not much of a gamer myself - when I think games, I think of Scrabble or Apples to Apples. And my video game skills don't go too far past the occasional attempt at "Guitar Hero." 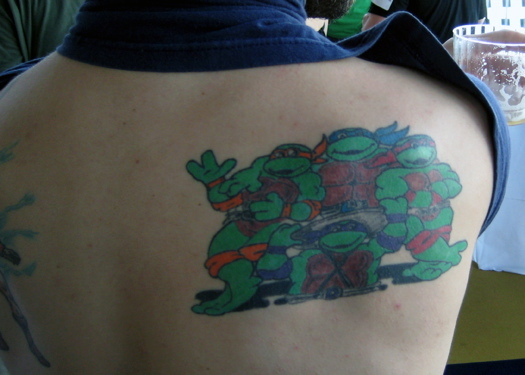 But for the right person -- the video game freak (or is it geek?) who doesn't just want the hot new thing but appreciates a good game of Super Mario Brothers, Pastime Legends is your place. 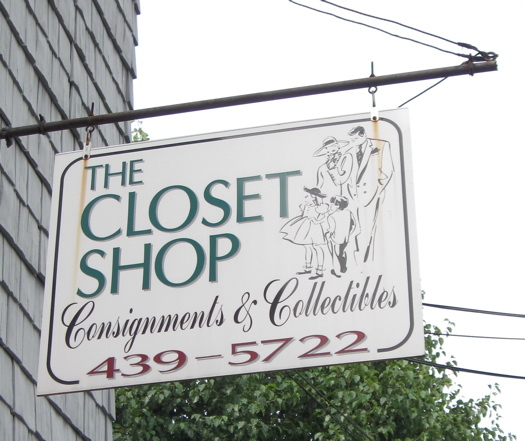 A one-stop shop in Cohoes. This next suggestion just might be my favorite -- the gift of wine and cheese. Sure, New York doesn't appear to be any closer to allowing wine to be sold in grocery stores, but that doesn't mean there's no place to go for both wine and cheese. This next item just might be on my own wish list. You might know Ben Karis-Nix for his unique blend of indie rock, but the local musician also designs a clothing line called Run, We Must. I'm all about the feel-good gifts this year. 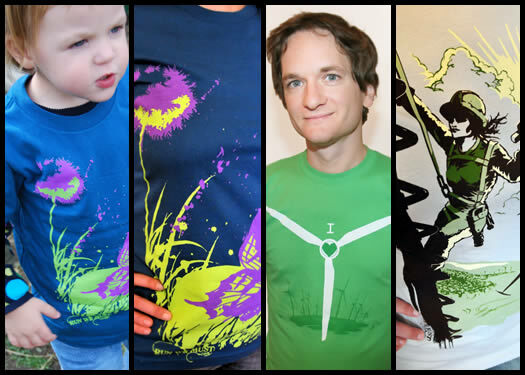 And these shirts are a way to be fashionable and eco-friendly at the same time. My love of garlic is well-documented at this point, but in my mind, you can never have enough of the spicy stuff in your life. So today in the AOA gift guide -- the gift of garlic. Garlic aioli to be exact, from Saratoga Garlic. The AOA elves are back to help you with your holiday shopping. 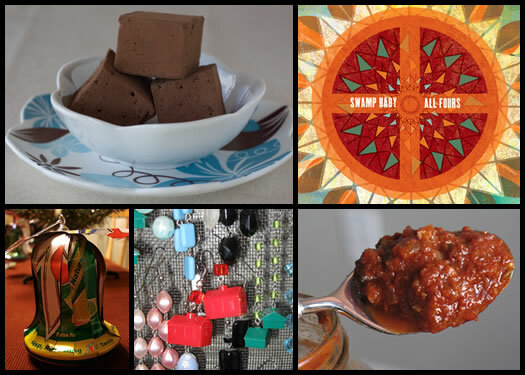 For the next couple of weeks we'll be bringing you fun, interesting, local gift ideas for the holiday season. 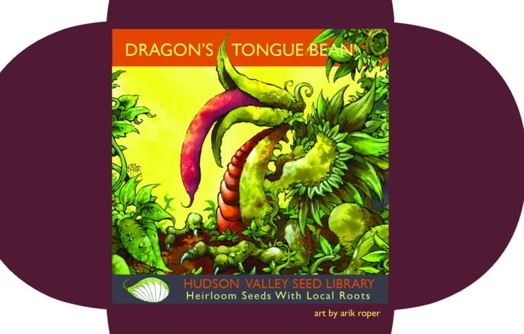 Today Jess kicks things off with flowers and veggies from the Hudson Valley Seed Library. These aren't your -- excuse the pun -- garden-variety Burpee packets. 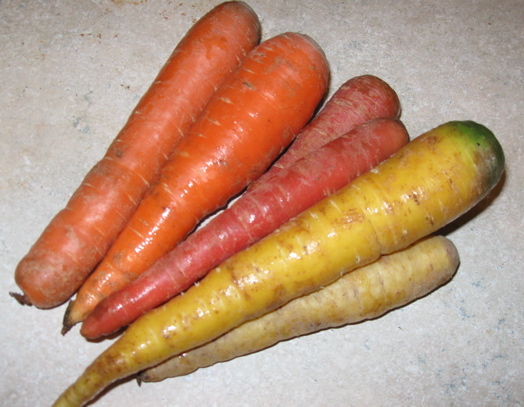 Think varieties like Kaleidoscope carrots, Green Zebra Tomatoes, and Dragon's Tongue Beans. 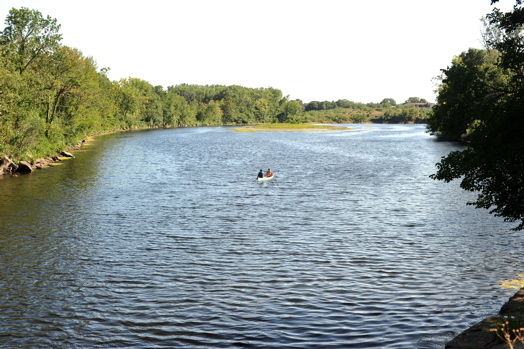 The view from Peebles Island -- New York's smallest state park. A recent Saturday spent exploring Cohoes led me to nearby Waterford, a quaint little place on the edge of Saratoga County that to me seems almost quintessentially upstate New York. I don't know how I've managed to live here so long without having ever made a trip to Peebles Island in Waterford, right outside Cohoes. It's beautiful. 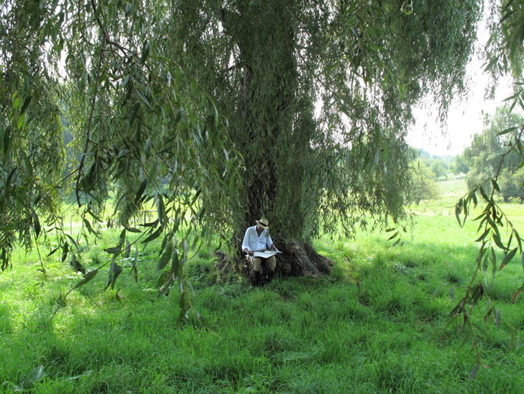 One hundred and 91 acres of land at the confluence of the Hudson and Mohawk rivers. Hmmm... do we smell a BBQ smackdown? 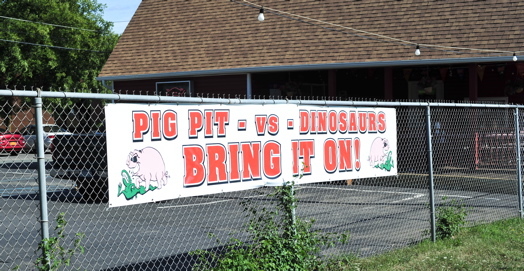 While driving around Cohoes , I couldn't help but giggle at this "Pig Pit vs. Dinosaurs: Bring it on!" sign. Clearly I had to check that out. 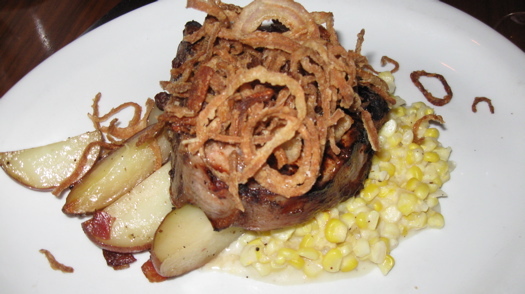 So, my look at Cohoes continues with, The Pig Pit. Okay, okay, I'll admit it - I don't think of New York when it comes to choosing a wine. And I'm definitely not alone in that thinking. 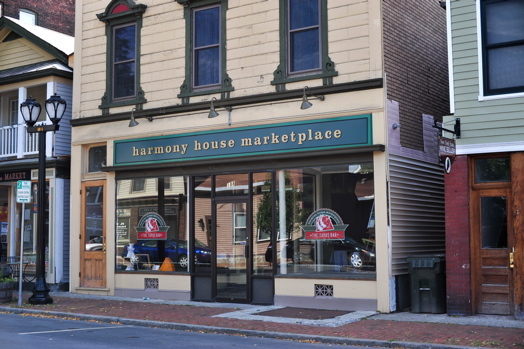 The folks at Harmony House Marketplace's The Wine Seller are hoping to change that. Lately I've been into taking little sojourns to areas locally that I've never really thought to explore. This weekend I headed to Cohoes in hopes of checking out the views of the falls from Falls View Park . Unfortunately, the lower sections were closed off, making for something of a boring trip. 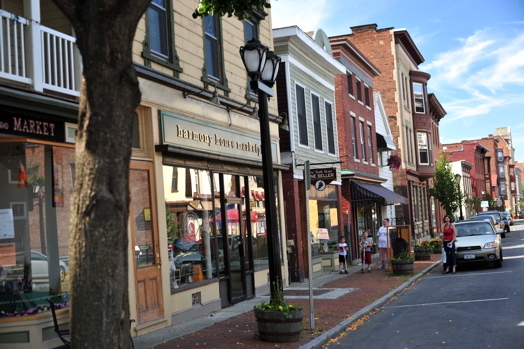 While deciding where to go instead, I took a stroll down Remsen Street. You know they have kielbasa. 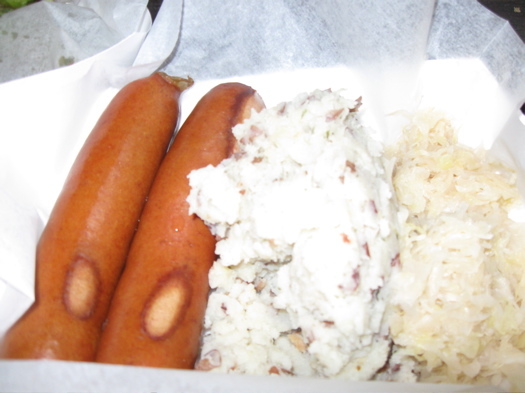 On a recent trip through Watervliet (okay, okay, actually I was lost), I stumbled upon The Olde Polish Deli. And well, finding a cool little ethnic shop I've never been to is one of the best ways to get lost, in my humble opinion. After my first trip, I was enthralled. 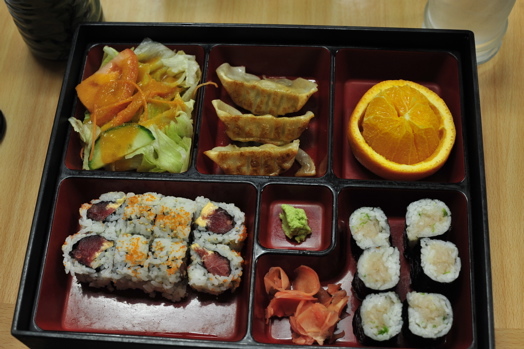 Something about a bento box, the traditional Japanese lunch box, just makes lunch seem a little more fun. Delish Deli: lunch from... a gas station? You won't believe what you'll find in here! Gourmet grub from a gas station? Sounds like a Top Chef quickfire challenge, doesn't it? 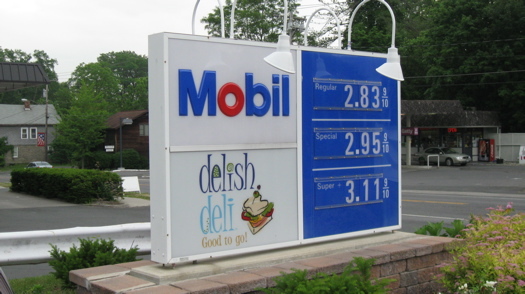 When users started praising the Delish Deli at the Mobil station in Delmar on Yelp, other users were quick to dismiss. Really, who goes to a gas station for lunch? I mean, unless your concept of a meal consists of Twinkies and those rancid-looking hot dogs in glass cases? I don't. Clad in fishnets, wigs and pasties, Scooter Pie is bringing her own brand of rock n' roll burlesque to Albany -- and audiences seem to be digging it. When Scooter, aka Kiley Oram, first started doing burlesque in New York City, she was pretty naive. At her first show at the Boudoir Bar in Carroll Gardens, the other performers were surprised that she hadn't known to bring pasties. The Schenectady native and Notre-Dame/Bishop Gibbons alumna says it hadn't occurred to her that she'd have to take her bra off! The One of a Kind Teahouse -- in the Chinatown building on Central Ave. I'm a sucker for a good bubble tea. Something about that sweet milky concoction of tea and flavoring with the tapioca pearls swimming in it is just oh-so-appealing. I've been getting my fix at the Good Leaf Tea Co. or the Hong Kong Bakery on Central Avenue, but now that I've discovered the One of A Kind Teahouse, well, my bubble tea heart has been stolen. Timothy's -- your one stop shop for goat and cricket bats. Back when I compiled the AOA Ethnic Market Compendium a commenter pointed out that I'd missed some great Guyanese markets in Schenectady. Schenectady has a pretty big Guyanese population, one that former Mayor Albert Jurczynski worked to help develop . 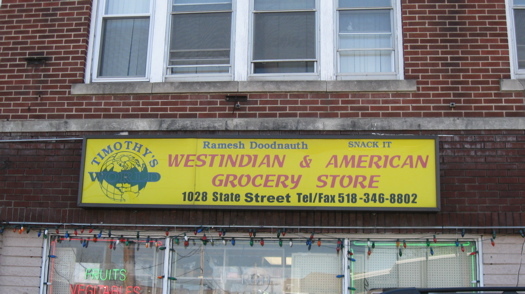 The city now has a chapter of the Guyanese American Association and a whole bunch of Guyanese markets. I took a drive out to the Electric City yesterday to check some of them out for myself. This was both a good idea and a bad idea. 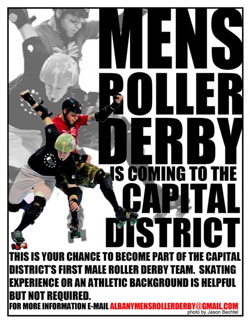 Men's roller derby coming to the Capital Region? We've already got two women's roller derby teams in the Capital Region, so why not a men's team? That's what George Dunckley, aka Museknückle wants to know. The current Albany All Stars Roller Derby referee is looking to get a guys team going locally. Among other things, he's looking for a few good men. 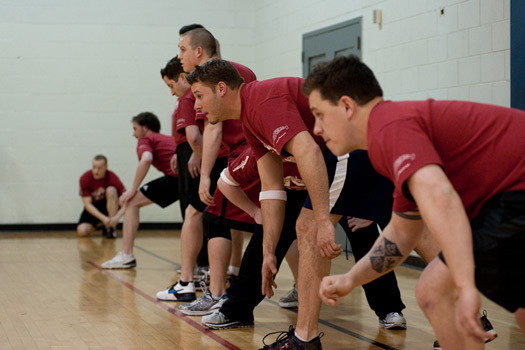 Albany could soon lay claim to a new record: the world's longest dodgeball game. The folks of Albany Dodgeball, which is made up largely of members of the Albany Society for Advancement of Philanthropy, are trying to set a new Guinness World Record -- but they need a little help. 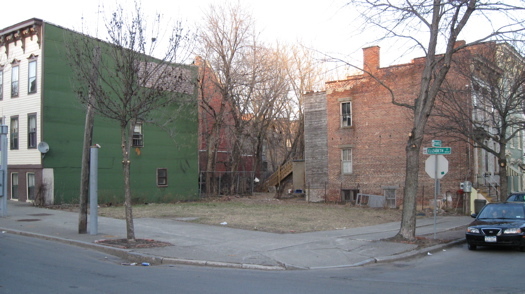 What would you do with a vacant lot? The folks of Grand Street Community Arts want to know. They've got big plans to turn some of the empty lots in Albany's South End into areas of urban beautification. Through the Vacant Lot Project, organizers will be working with community organizations and individuals to come up with new ways to revitalize the spaces. And they're looking for input. Michelle, Mark and a few of their friends. 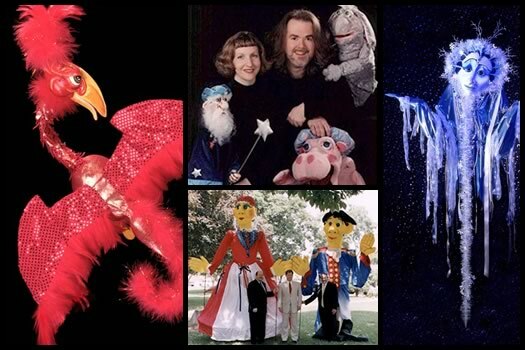 Schenectady's Michelle Smith-Carrigan and Mark Carrigan advertise themselves as "your puppet professionals." Seriously, how much fun must they have at parties? "Well, actually, I'm a puppet professional..."
I love almost anything that's pickled or fermented, and I especially love spicy food. 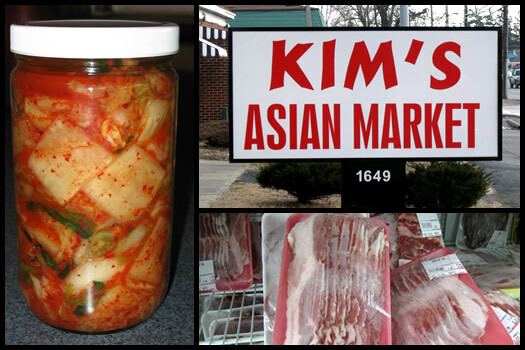 So I was pretty psyched to discover the store-made kim chi at Kim's Asian Market. If you've never had it, Kim chi is basically a mix of pickled, fermented vegetables that's pretty commonplace in Korean cuisine. 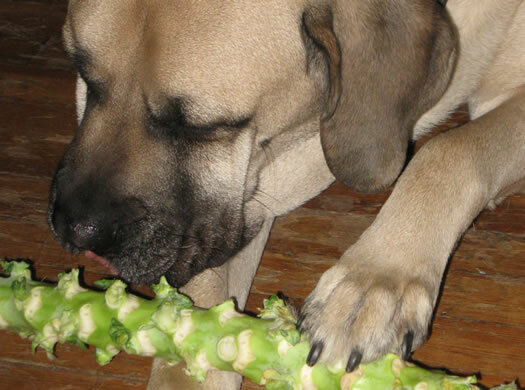 It's got a funky, slight pungent taste to it with a varying level of heat. The Marketplace Gallery , located in a loft down by the Port of Albany, held several awesome art shows last spring and summer. 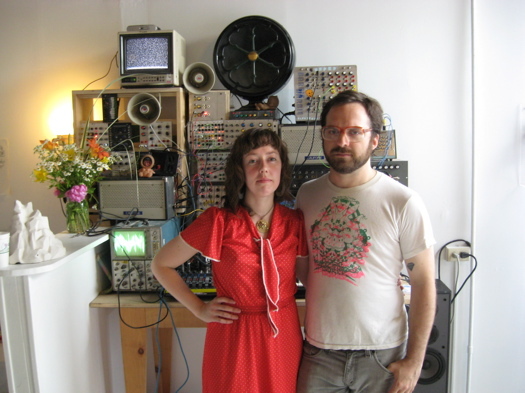 The expansive space, run by Samson Contompasis and his brothers Alex and Max, was a great addition to the Albany arts scene, until an electrical fire back in August shut it down. Now, after months of rebuilding, the Contompasis brothers are re-opening their gallery and they've got some promising plans for the place. 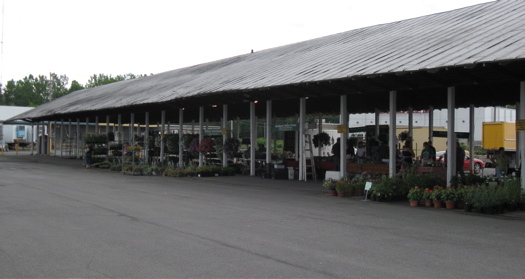 The Capital Region has a great number of wonderful little specialty markets that I just can't resist. From Greek to Italian, to Indian and Russian, and everything in between. While this is by no means fully comprehensive, AOA's put together a Capital Region Ethnic Market Map of some of our favorites -- a sort of ethnic market compendium. Know of other places we should check out? Please share! Pellegrino's Italian, American & Greek (oh, yeah!) market. This week I stumbled upon a new place to look -- the Greek selection at Pellegrino's. A sketch of what the Troy Food Cooperative could look like by this summer. So, you know that proposed Troy food co-op there's been so much buzz about? Well if everything goes according to plan, it looks like you'll be able to shop there by this summer. The Winter Olympics are coming, and you know what that means. 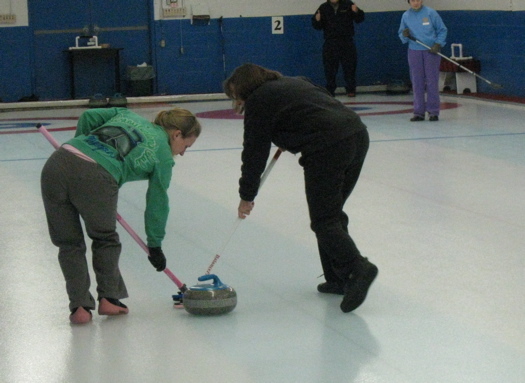 It's curling season! 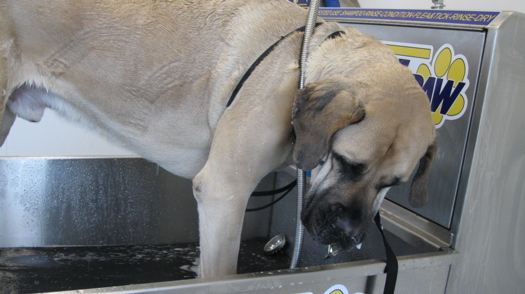 You know brooms and ice and -- well, actually, that's about all I knew about curling. And while Stephen Colbert's curling attempts looked amusing, I figured that probably wasn't the best representation. So I checked in with the Albany Curling Club for a closer look. Yes. 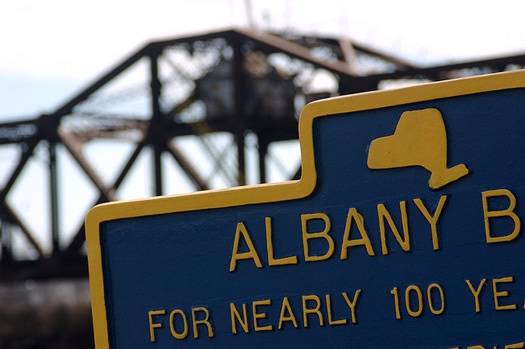 Albany has a curling club. It's glassware! It's an instrument! It's both! Stand back -- he's a professional. Ed Stander plays the glasses. 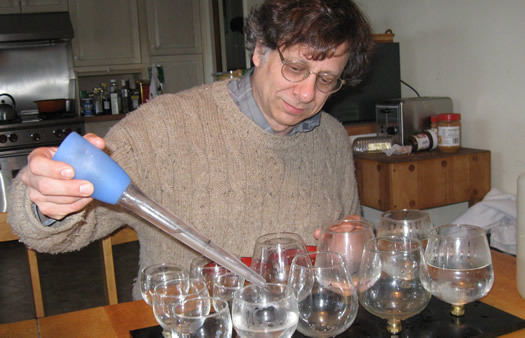 That is, he plays wine glasses and brandy snifters as a musical instrument. Really. The Delmar resident internationally renowned for it -- he's played the glasses all over the world (including the Great Wall of China). 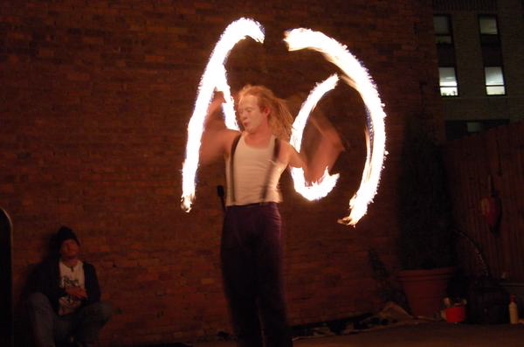 You might have also seen him performing at this year's First Night celebration in Saratoga. 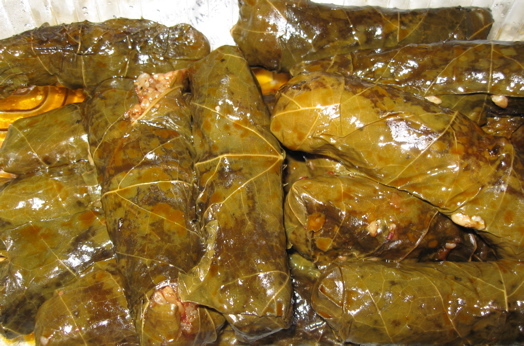 Not long ago a friend told me the stuffed grape leaves at Nora's Grocery in Watervliet were the best they ever had. Now, I love grape leaves (or dolmades, as they're also known), so I knew I needed to give these a shot. 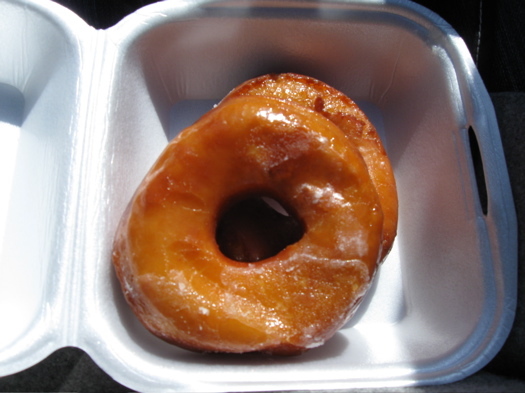 Last week I went out in search of Nora's Grocery to try them for myself. 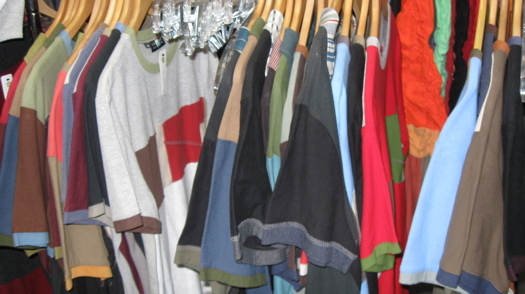 Old sweaters and t-shirts become one-of-a-kind high-fashion items at Ekologic in Troy. The company's been making their green-friendly sweaters, mittens and more since before "green" was trendy and they're definitely worth checking out. Ask Brad Pitt and Catherine Keener. They're among the celebs who have been spotted wearing 'e ko logic designs. 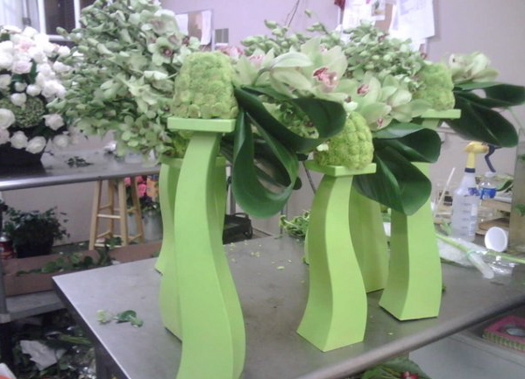 Martin Dodge used to design floral arrangements for the likes of Heidi Klum, Ashlee Simpson and other West Coast celebs. Now he's designing high-end arrangements on the East Coast at his new shop on Sheridan Avenue in Albany. But don't look for the standard roses and baby's breath. Dodge's take on flowers is something else entirely. It's getting better and better to be a vegan in the Capital District. 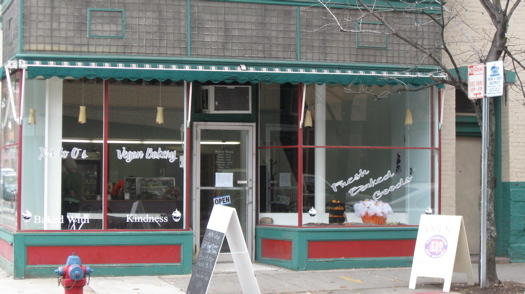 Not only is there now a vegan catering company, there's also a new vegan bakery in Troy. Sweet Peas in Delmar. Cool stuff, but no peas. 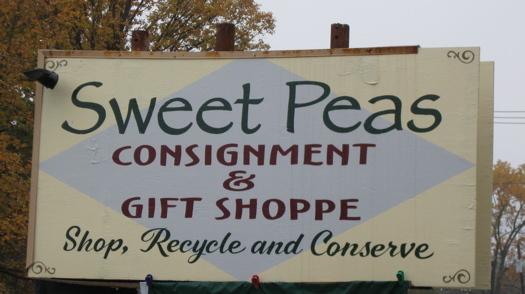 No, Sweet Peas is not a farm stand. It's a place to go if you're looking for a cool antique dresser or a pair of locally made earrings. They don't sound like things you'd shop for in the same store, but this new-ish shop in Delmar may be the place to find both. 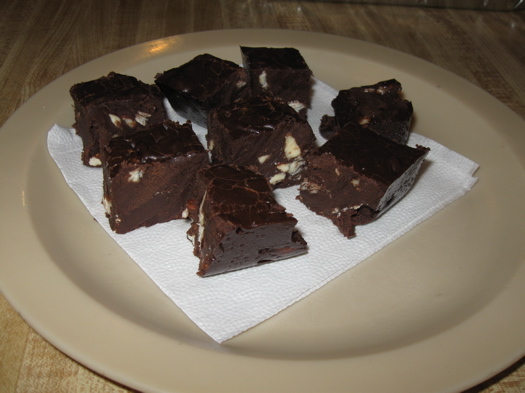 No animals were harmed in the making of this fudge. Vegans have been able to get their pizza fix at Albany's Little Anthony's for the past five years. But if you had a large group to feed in the Capital District, and you wanted to go vegan with more than pizza, well...that was a little tougher. Now Little Anthony's owner Pat Battuello owner is expanding his vegan repertoire. Battuello has joined forces with local vegan blogger Nicole Arciello Berhaupt and the two are working to start an all-vegan catering service called Food For Thought. So if you ever need a tray of vegan baked ziti (with "ricotta" made from tofu and cashews) to feed a large group, well, now you're in luck. It's like pumpkin pie -- but, you know, without the crust. I'm kind of a sucker for fall flavors, be it apple, sweet potato or pumpkin. 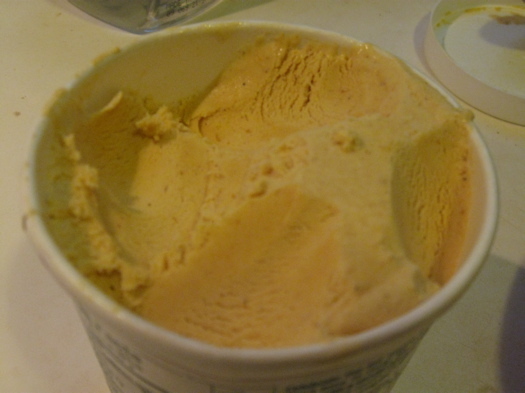 So when I spotted this pumpkin pie ice cream from Adirondack Creamery the other day, I felt obligated to try it. 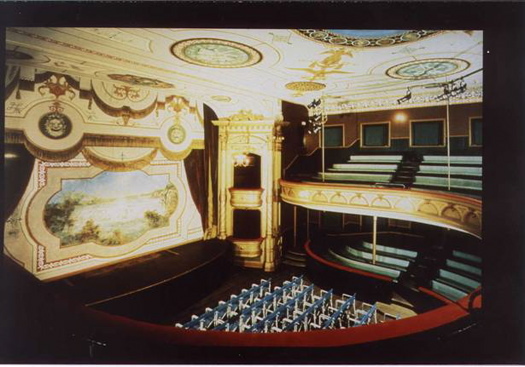 Cohoes Music Hall. Eva's haunt? So apparently one of the most famous Vaudeville stars still hangs out at the Cohoes Music Hall. The thing is, she's been dead since 1947. 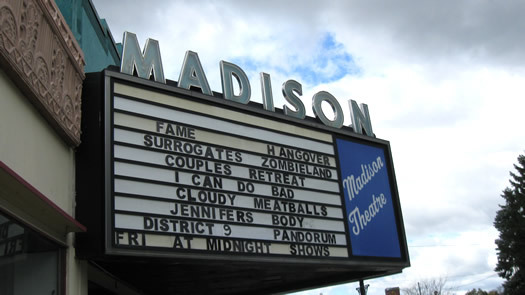 A recent show about independent theaters featured Madison owner Jay Pregent. Albany-based filmmaker Jeff Burns loved listening to film podcasts, but couldn't find exactly what he was looking for. So he created one of his own. With friend and fellow filmmaker Jay Ruzicka, Burns started "The Everything Film Show" in April. Since then, the show has featured interviews with directors, producers and other people in the film business -- both national and local. Remember that Papergirl project? It's part of a bigger art event called Flux that's being held this weekend. Flux promises three nights (and two days) of art, music and food (served up by the Albany Pump Station). 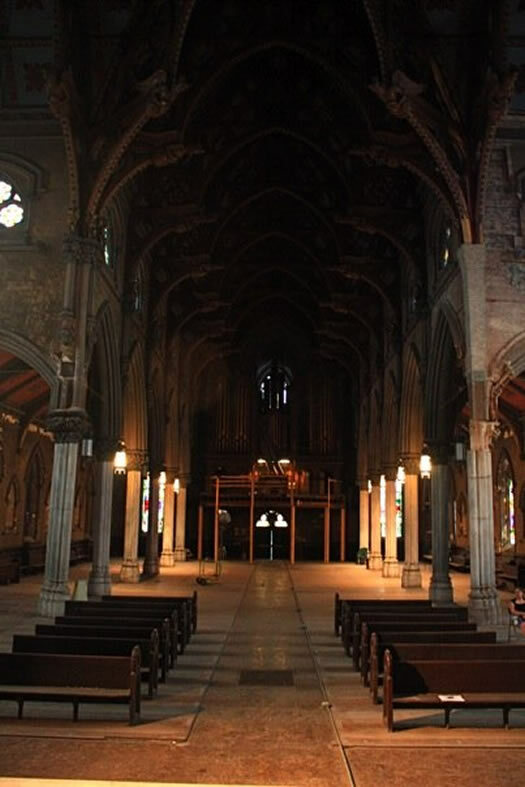 But the real star of the show will be the venue itself, St. Joseph's Cathedral in Albany's Ten Broeck neighborhood. It's a beautiful, fascinating building that you shouldn't miss the opportunity to check out. Really -- you need to see this building. The makings of a happy birthday. 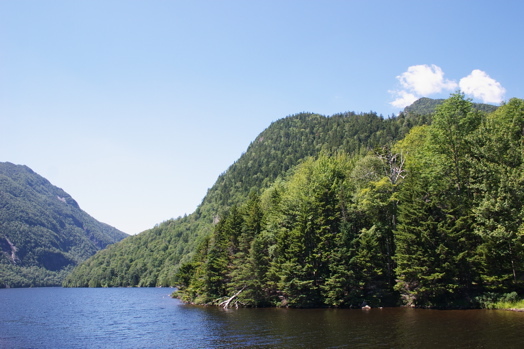 You only get one birthday a year -- so you want to celebrate someplace really special, right? 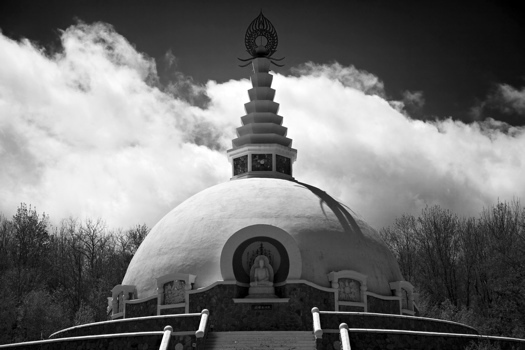 If you're looking for someplace with really good food and ambiance -- and you don't mind a pretty drive toward the Catskills, then I have the perfect place for you. This year marks the second birthday dinner I've had at Local 111 in Philmont, near Hudson, and once again I can't stop raving. 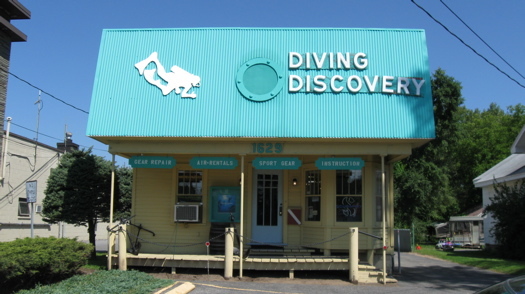 Diving Discovery -- in Colonie? For years I've been driving past something called Diving Discovery Scuba Center on Central Avenue, but I've never really given it more than a passing glance. Sure I've wondered, "Scuba gear? In Colonie?" But that was about as far as it went. But you never know when you'll want to go diving for sunken shipwrecks and stuff -- so the other day I decided to venture in and check it out. It turns out this place is for divers and wannabees. For all your jackfruit chip needs. 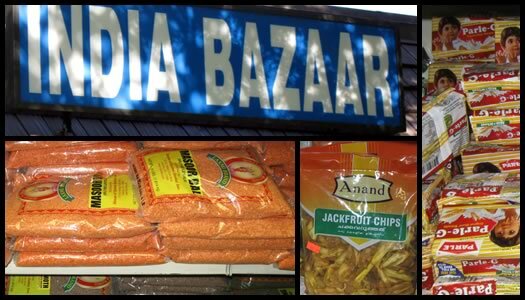 This week my continuing tour of the area's ethnic markets has brought me to India Bazaar in Colonie. Think curries and chutneys galore. Think at least a dozen of varieties of naan bread. Think fun snacks. Think "gripe water." Seriously, the selection here is pretty impressive. The Buttery. Simple is good. When it comes to breakfast, sometimes you just want simplicity: a place to drink coffee and read the paper with no fuss. No goat cheese omelets. No frittatas. No frilly french toast. Don't get me wrong. I love a good fancy brunch complete with bloody Mary or mimosa. But some mornings I just want the kind of down home style breakfast they used to serve at Woolworth's lunch counters. 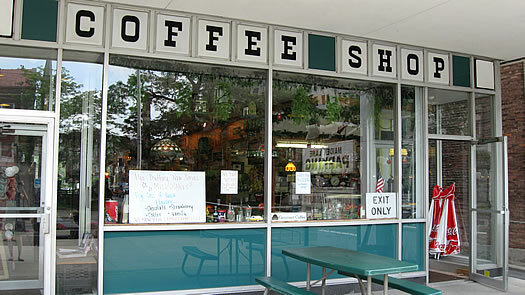 You know-- in the pre-Starbucks days. That's what you get at Buttery Restaurant, near Albany's Commerce Plaza. 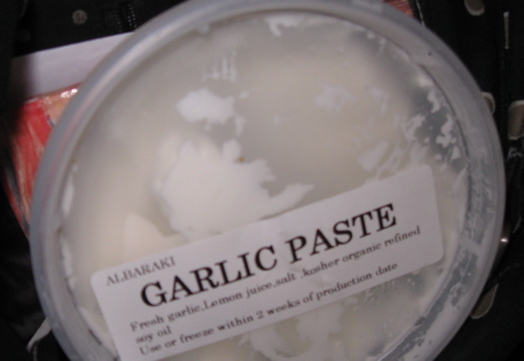 The garlic paste at Al-Baraki is -- well -- it's amazing. How can the simple combination of garlic, lemon juice, salt and organic soy oil be so good? How do they do it? I could eat this stuff by the pint. 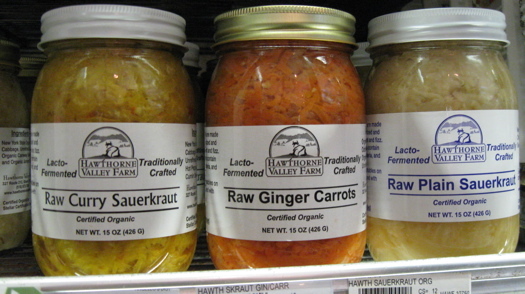 Which is why I was so happy when I noticed they sell it in pint size tubs in the deli section at Honest Weight Co-op! I may never have fresh breath again. When you've got to have borscht, and you've got to have it now. 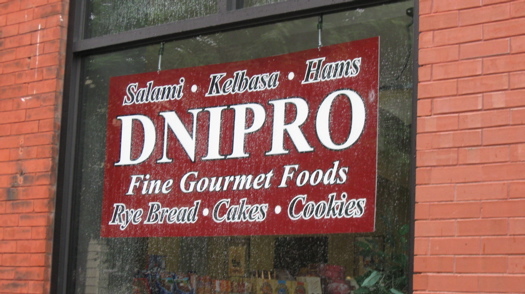 A recent thread on Table Hopping turned me on to the existence of Dnipro, an Eastern European grocery store and deli. Now really, how could I not check that out? 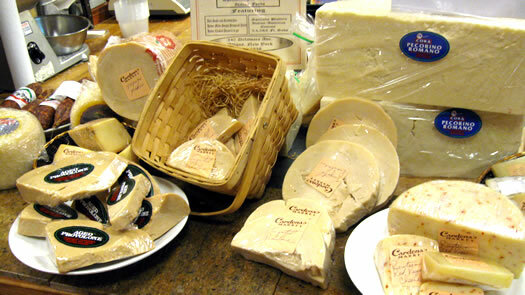 So a took a ride to Cohoes and found everything from instant borscht to Czar Nicholas tea. 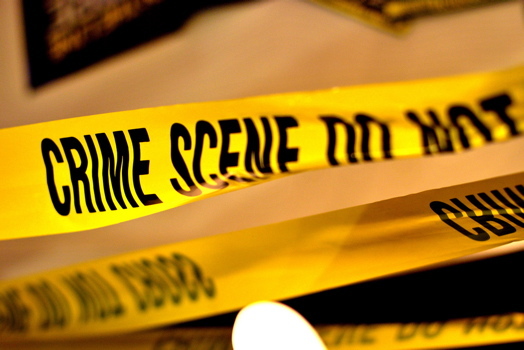 Because you never know when you'll need crime scene tape. 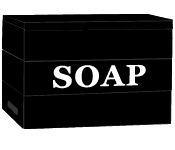 So if you're looking for, say, SWAT team clothing or forensic evidence receptacles, look no further. Apparently you can satisfy all your CSI needs right here in the Capital Region. It turns out that one of the biggest vendors of crime scene products and other law enforcement supplies has been right here in good old Albany for 82 years. And, as it happens, the sales staff at National Law Enforcement Supply looks a little like they just stepped out of the cast of CSI. 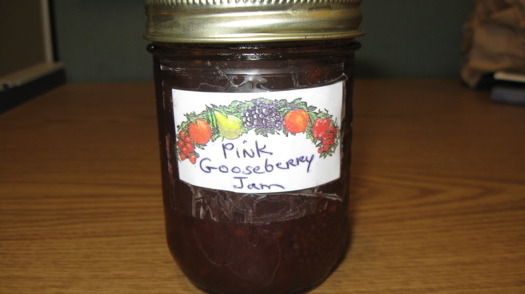 I don't really use much jam or jelly, so when I do, Smuckers just isn't going to cut it. Nope. I want one bursting with fruit flavor, kind of like I'd imagine someone's grandmother would make. And don't let me see high fructose corn syrup as a main ingredient. This is why I'm digging Elderberry Mary's jams lately. Today they're calling it "the new Brooklyn" (OK, some people are calling it the new Brooklyn) but industrial historian Tom Carroll is more likely to refer to Troy as the 19th Century Silicon Valley. Before The Collar City was known for its collars, it was known for producing horseshoes, railroad ties and other iron products -- including a cast for the Centennial Liberty Bell and parts of the USS Monitor. 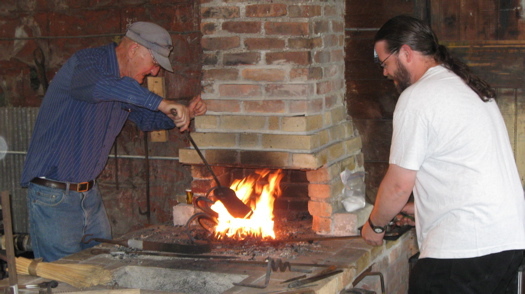 Carroll has collected that history at Troy's Burden Ironworks Museum -- and he can tell you everything you want to know about they city's industrial history... and then some. Wait, don't let that scare you off. Some of it is pretty interesting stuff. 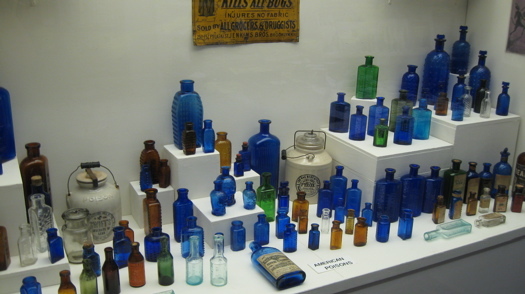 A while ago I heard a rumor that there was a bottle museum somewhere near Saratoga. And, well, that sounded just odd enough for me to want to investigate. 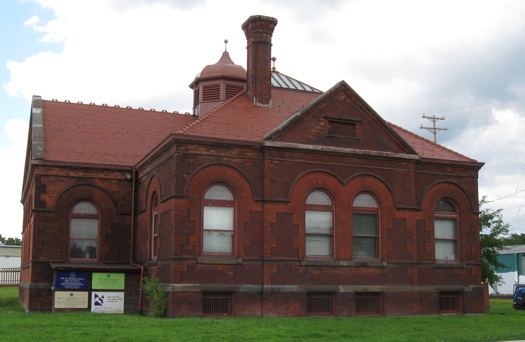 Turns out that not only is there a bottle museum-- it's the National Bottle Museum. Yes, we have a National Bottle Museum. OK, why not? It occupies an unassuming storefront in an old three story building in the village of Ballston Spa and it holds over 2,000 bottles from medicine and perfume bottles to liquor and beer bottles and just about every glass vessel in between. So is it worth a trip? So last weekend at the Central Avenue Farmers' Market I made a beeline for the Argyle Cheese Farmers' stand and the promise of, well, cheese. And I went away with -- yogurt. 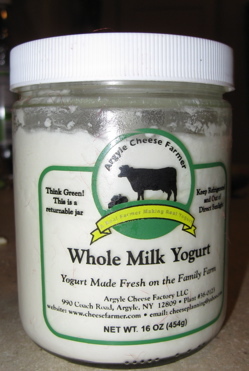 Home-made whole-milk yogurt. The opera isn't the only reason to visit. Okay, so the words "opera museum" don't exactly scream cool. 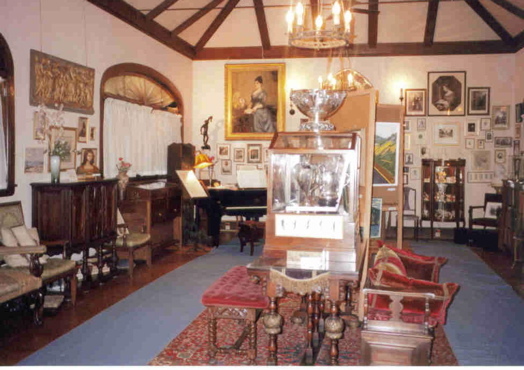 Still, I'm going to risk my street cred and suggest a visit to the Marcella Sembrich Opera Museum . No, you don't have to like opera to enjoy it. So why should you go there? 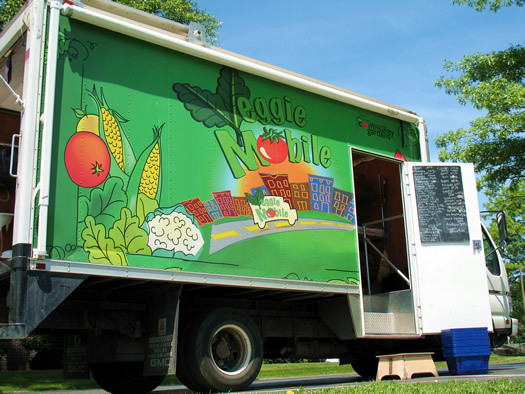 A few weeks ago, AOA told you that the Veggie Mobile was a finalist in an international competition. And based on the comment thread that ensued, it seemed like a lot of you were pretty curious about the whole thing. 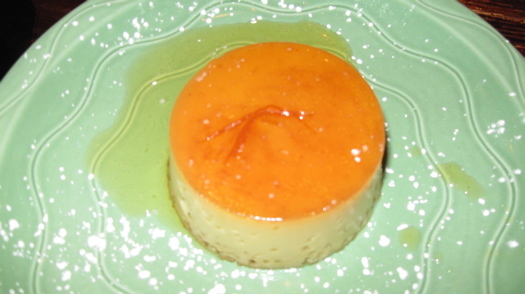 A couple of weeks ago, a "stuff to do this weekend" post prompted a discussion of the flan at Mexican Radio in Hudson. Regular commenter B. -- and the restaurant itself -- claim it's the best flan around. And apparently a lot of people back that opinion up. Being just a little crazy for custards, I figured I better look into that lofty claim myself. I admit I'm usually more of a creme brulee kind of girl, but flan's kind of like creme brulee's Latin American cousin, isn't? Uh, sure. Anyways..... bet you want to know how it is. Every once in a while, you just have to "get out of Dodge" -- so to speak. You know, those times when you can't take a two week vacation, or even a long weekend, but you just need a quick change of scenery. If it's a day trip you're looking for, I can't recommend Olana enough. 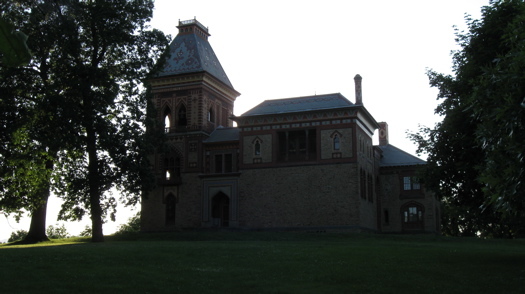 The sprawling estate of artist Frederic Edwin Church is beautiful, and it's the perfect place to hike, picnic, sketch and take pictures. Everything but the kitchen sink. And maybe that too. At first glance the Ravena Barn sort of seems like the place where unwanted items go to die -- a kind of final resting place for chipped plates, old housecoats and an entire collection of appliance how-to manuals long-since parted with their corresponding equipment. 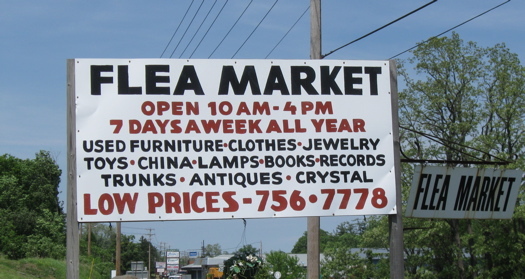 The flea market on Rt. 9w in Ravena is lovingly and colloquially known as "the junk store,"
but I'm pretty confident you could find pretty much anything there. Anything. At. All. If you're willing to look. Tobin's First Prize Center -- the sign is all that's left. 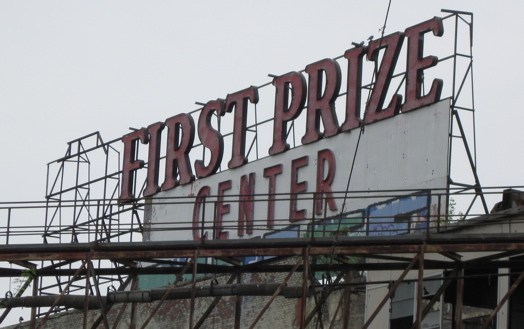 If you've along Everett Road in Albany, you've seen that huge old sign for the First Prize Center (it's near I-90). And you've probably wondered, "What the heck is the First Prize Center?" Did they make trophies? Blue ribbons? Those big checks for the Publishers Clearinghouse give-away? Here's something you probably wouldn't have guessed: hot dogs. It's barbeque season -- but the Troy Pork Store is gone. 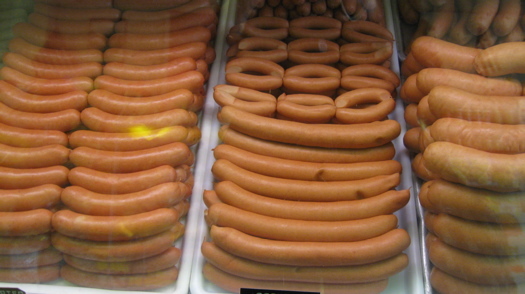 No more locally made hot dogs and sausages -- what will you do? Wait -- before you go into full out weiner withdrawal check out Rolf's in Albany. 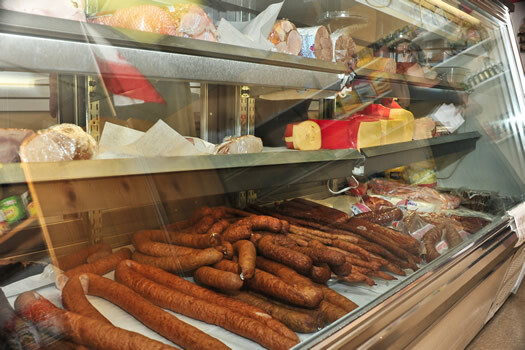 This German shop has been selling over 50 kinds of handmade meats and sausages for decades. Oh, and they've got a whole bunch of other stuff too -- from pork bellies to German romance novels. 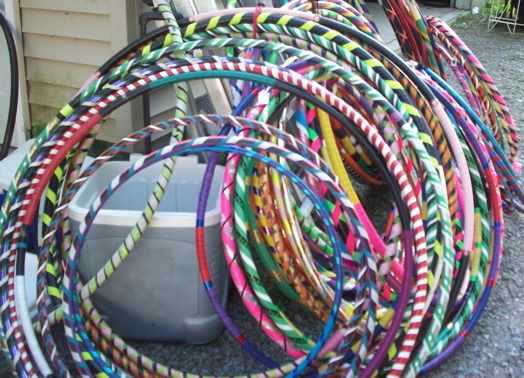 A divorce, a trip to San Diego and a few YouTube videos helped 33-year-old Jennifer Canton transform herself into the fire-eating, hula hooping dynamo that is Dehva Colure. 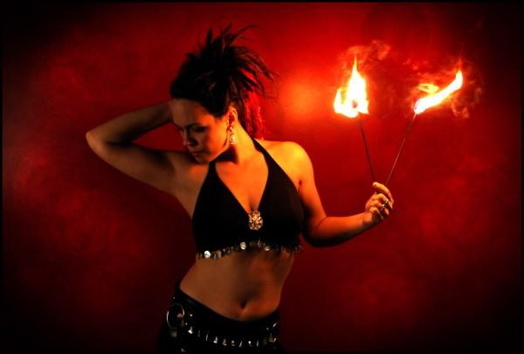 The Tribes Hill resident (near Amsterdam) is now a photographer/social worker by day and a fire eater by night. How it happened and more photos, after the jump. OK, so there's this market in Albany -- it has an Italian name and sells Caribbean goods to mostly Spanish speaking shoppers. 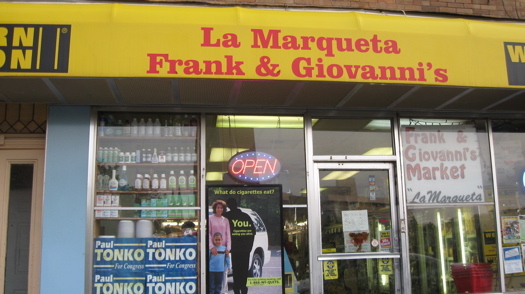 The place is called Frank and Giovanni's Market, but it may be better known as La Marqueta. 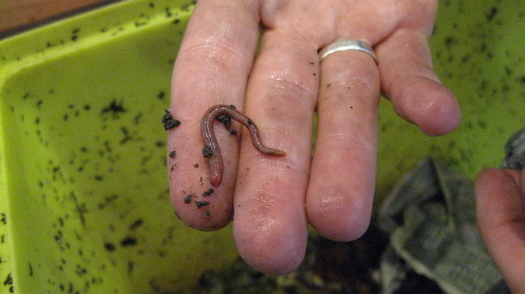 And it's stocked with all kinds of exotic and interesting foods from tubers to plantains to pigs' feet. 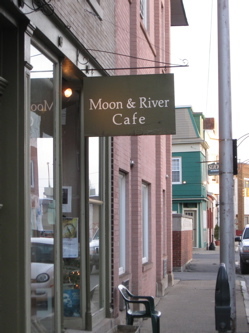 So earlier in the week I dropped into the Moon and River Cafe in Schenectady to checkout the Electric City Ukulele Club and I thought, "Wow, I should write about this place." It was my first visit to this fun, quirky little cafe but it certainly won't be my last. 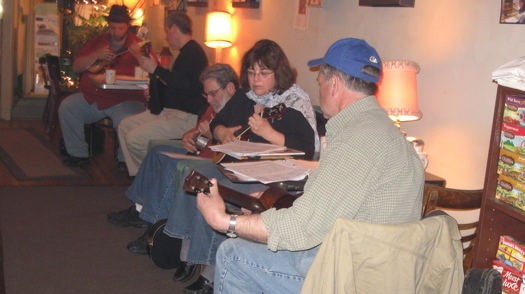 So it turns out the ukulele craze has made it to Schenectady. What? You didn't know there was a ukulele craze? Search ukulele on YouTube.com and you'll find a ton of renditions of pop and rock songs done uke-style. There's even a documentary called Rock that Uke along with festivals and groups around the country dedicated to the pint-sized string instrument. If you're a ukulele lady (or man) or you're just curious, you can jam with other uke lovers or listen in at The Electric City Ukulele Club. Troy Book Makers on River Street. 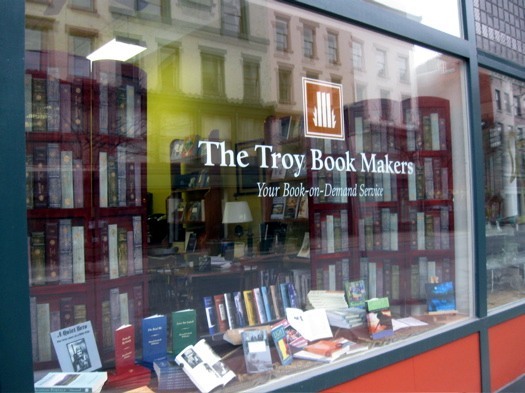 The Troy Book Maker's name sounds a little like it's run by guys who'll give you odds at Saratoga. No, they don't make book. They make books. Tomas Malave, doing his thing. Local photographer Tomas Malave says that taking his amazing pictures of food comes easily. "The food just speaks for itself," he told me. Hmmm. I've taken food photos and I'm thinking that if the food speaks-- it's clearly choosey about who it talks to. 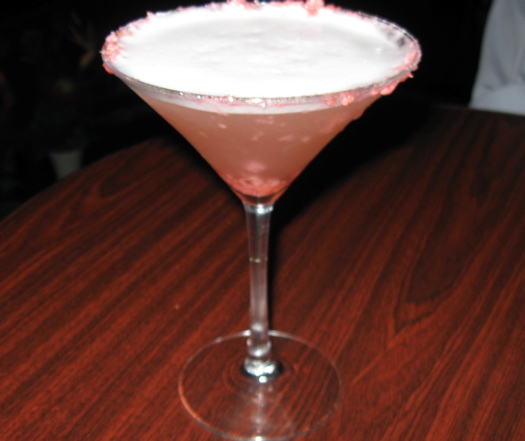 No, taking delicious pictures like Malave's requires talent. 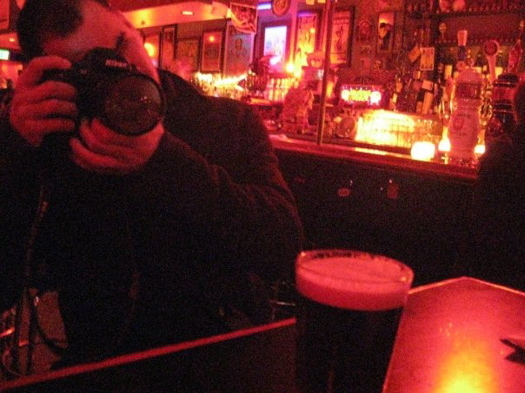 Tomas Malave's talent for photographing food was nurtured right here in Albany. 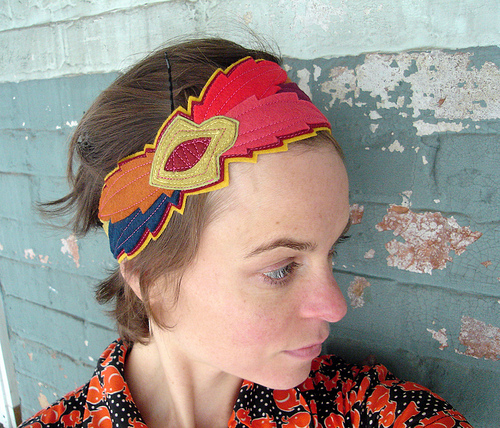 Let's face it, if you're a thrift shopper, you have to keep yourself open to possibility. Borrowing from Forest Gump's chocolate box metaphor, "you never know what you're going to get." At Something Olde, Something New in Slingerlands, you could walk out with a unique housewarming gift --or a pair of vintage Gucci alligator heels. You just never know. And that's half the fun. 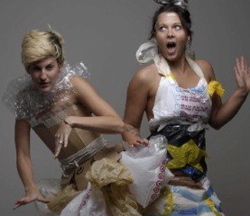 This Friday night at UAlbany models will be strutting down the catwalk in clothing that's just garbage. Really. It's trash. Actual trash. The idea for the "Recovery" art show started here in Albany and made it's way to Afghanistan and New York City. This week it's home again. 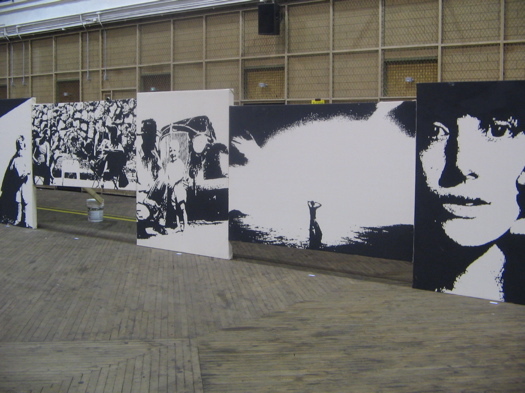 The premise of the show -- that art, like war, can greatly affect people's lives. 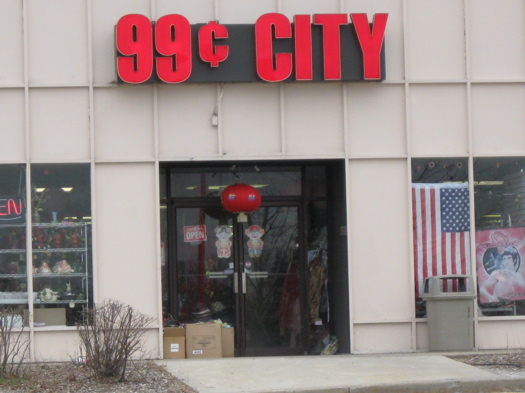 If you ever find yourself in need of a samurai sword, a pile of small Buddha figurine, a bamboo plant and a whole bunch of stuff to outfit your pad for your next Chinese New Year party, I know just the place -- 99 Cents City at the Northway Mall Plaza. I can't lie - I'm just a little bit obsessed with this store. 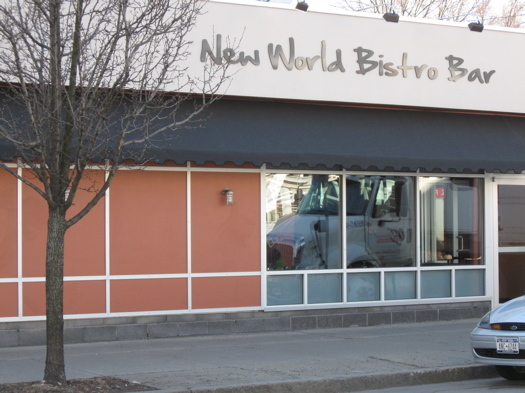 After waiting impatiently for what seems like forever, I finally got to try Ric Orlando's new restaurant in Albany, The New World Bistro Bar, next to the Spectrum Theatre. And, well, if last night's soft opening is any indicator, it's been worth the wait. So last night I checked out a preview of Albany's new German-themed Wolff's Biergarten. The club formerly known as Noche and Jack Rabbit Slims has been given the full Bavarian makeover, turning the firehouse next to Miss Albany Diner into an authentic-seeming wursthaus. Under the direction of Bombers impresario Matt Baumgartner, the one-time tapas lounge has given up the leather couches and ritz for antler light fixtures, rustic picnic tables and a large, paper mache tree "growing" out of the center of the room. In fact, with the sawdust on the floor, the trays of peanuts and the wood-paneled walls, it sort of feels like being in a barn -- but in the best way possible. 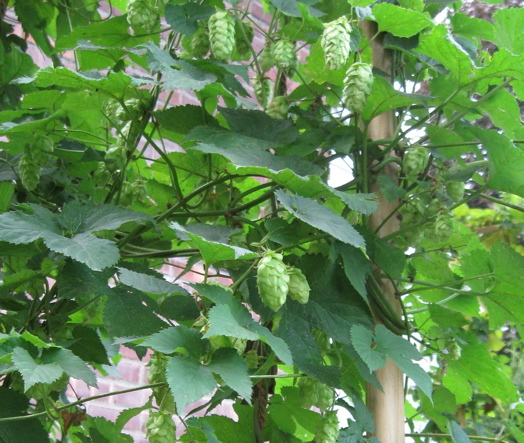 Imagine a place where it's Oktoberfest every day, somewhere outside of Epcott Center. Honestly, the only thing missing from the atmosphere was a few corseted tavern wenches and an oom-pah band. The wurst part wasn't even the best part! Hey, how'd that get up there? 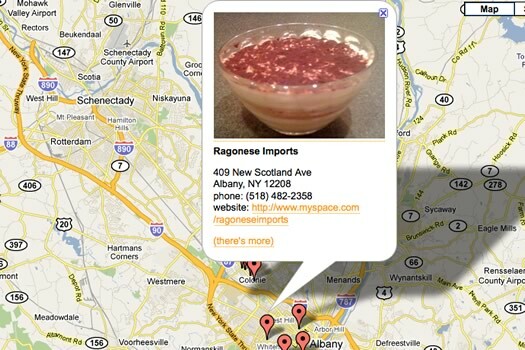 You've seen it from 787, from Rensselaer, from the port of Albany. Sure, by now it may just be a part of the A-Town landscape, but when you first noticed it you thought, "How the hell did they get that thing up there?" A big moving truck? 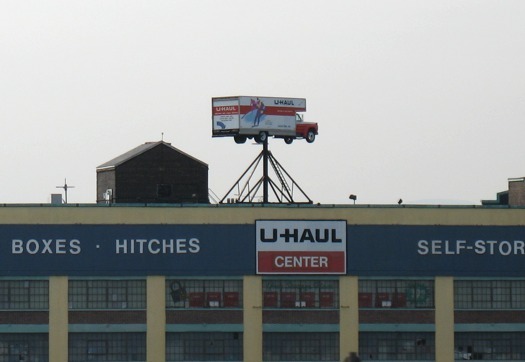 On top of a seven-story U-Haul storage building in downtown Albany? Any guesses? I finally broke down and asked. As any good Irish-American or wannabe knows, St. Paddy's Day is quickly approaching and that means it's time for corned beef and cabbage. But where to get your corned beef--that's the question. 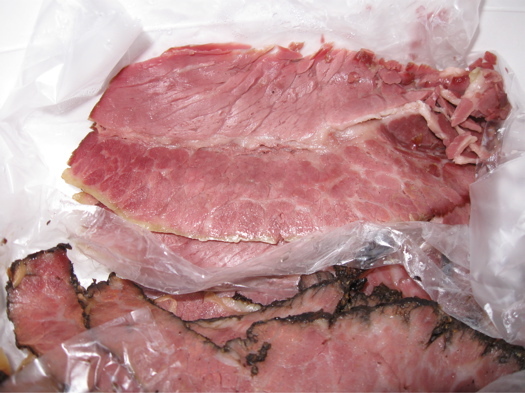 What if I told you you could get corned beef in Albany from the place that supplies some of N.Y.C. 's most famous delis? Yes, that's what I'm telling you. Where? Old World Provisions Pastrami and Corned Beef Outlet on S. Pearl Street. Yep, a corned beef and pastrami outlet. It's tough to be a peanut butter lover these days. If you like that creamy, peanuty goodness but hate-- you know-- salmonella, then a pb&j can feel a bit like a game of Russian roulette. A very tasty game of Russian roulette. 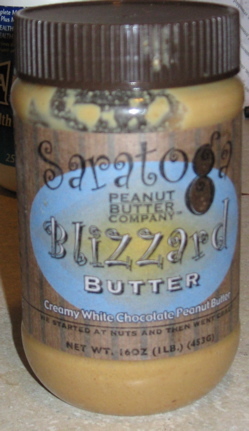 The Saratoga Peanut Butter Company is a much safer and yummier alternative.